When Chocolate and Waffle say, "I do." 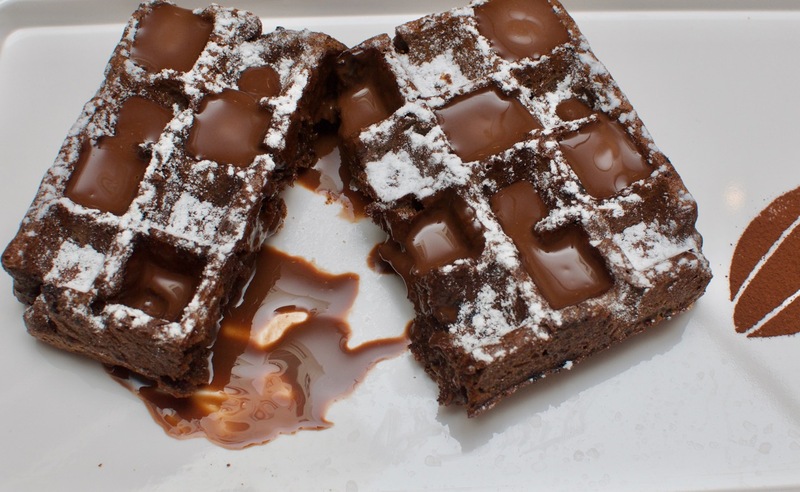 Chocolates and waffles generally flirt with each other. There is some caressing at best with chocolate happy to be a topping as a sauce on the waffle or in the form of a chocolate ice cream in varying stages of blah. But a full time commitment? Rare. 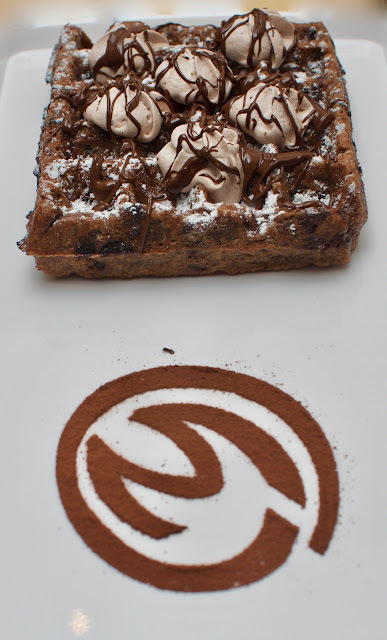 But like anything done with commitment, when chocolate decides to commit itself to the waffle, the result is magical. Like any committed relationship, not everything is sweet. Not everything is bitter, but the magic is in the ability to appreciate both. Throw in friends like coffee and banana once in a while, we have a winner! Marriages more often than not, need a pastor. In this case, there were two. Nitin Chordia from Cocotrait and Christoph from Wafobel together decided to marry these two things. Both are extremely fond of their respective kids, Nitin a chocolate stalwart and Christoph, the father of Wafobel, decided to the honours themselves! 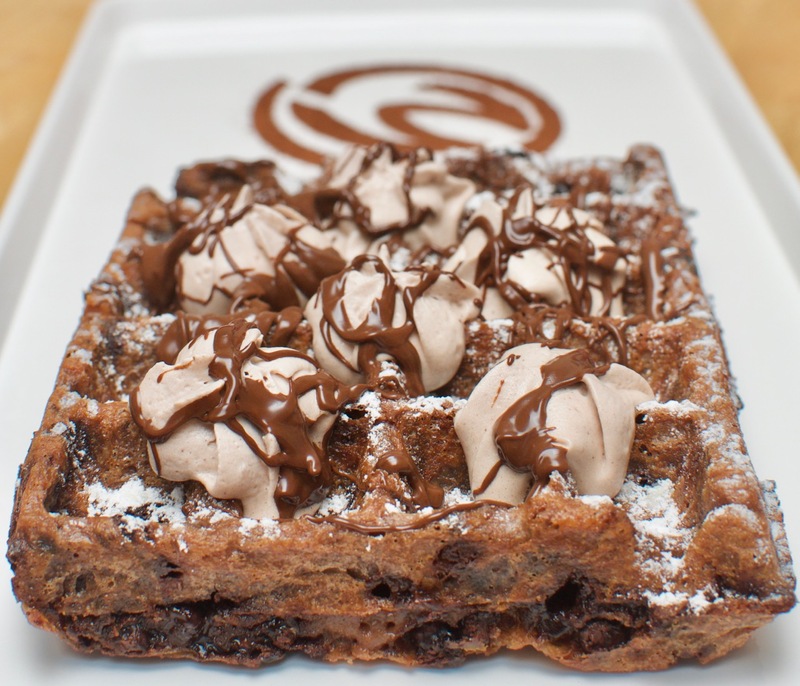 Rich pure in house Chocolate mixed with the Belgian waffle batter should make any dessert fan go weak on the knees. But if that gives you thoughts of having a super sweet waffle, think again. The batter is folded with chocolate so there is chocolate everywhere. Inside, outside, on the crust, in your mouth; simply everywhere. Then there is more. Friends add spice to life and in the waffle world, friends like peanut butter and banana join in the Peanut Choco Waffle to create a nice variation. When they wanted to be by themselves, they were doing the Classic Fudge, a beautiful classic love story. Thick fudge gives you memories with bitter sweetness. And they get a little creative with the Chip n Nib waffle, where there is both the chocolate chips and the cocoa nibs in the waffle. I guess this happens when the chocolate decides to emphasise its role in the relationship a little more. No complaints. Bring two wonderful things together is a challenge. 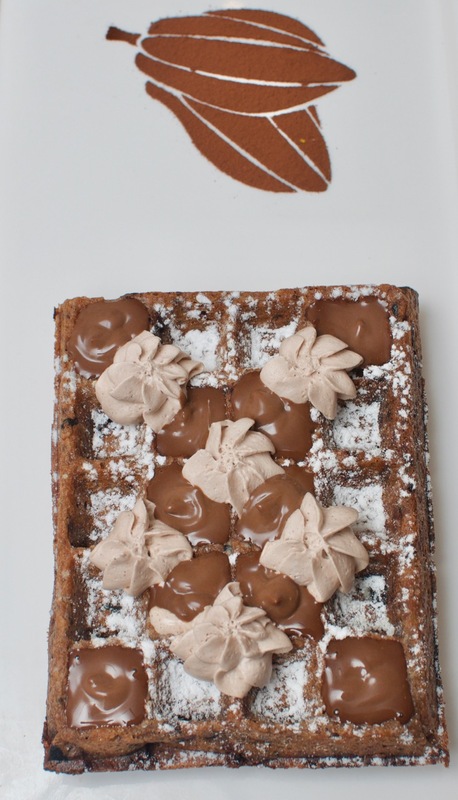 You can bring wonderful ingredients, but bringing a DISH, that too a tried tested and loved one like waffle with an INGREDIENT, again a tried tested and loved (OK loved is an understatement for chocolate), is not easy, but these two have pulled it off. I believe there has been a lot of preparation to make sure this works. After all it is the bringing together of two feisty ones! Oh this is an inter-country marriage too. The Belgian Waffle with the Indian Chocolate! The festival is on till the end May. The fact that besides bringing joy to the tongue, it is also a joy to the heart. Beyond the 'heart' in a relationship, I'm talking about the heart that pumps blood. With no butter, no cream and the fat coming purely from cocoa butter, this is healthy. Now that is a winning combination! Chennai Foody: When Chocolate and Waffle say, "I do."